Coolsculpting is an FDA-cleared, noninvasive procedure that helps contour your body by reducing fat cells in the targeted area. The procedure works by a cooling system that gently and effectively targets the fat cells underneath the surface of the skin. 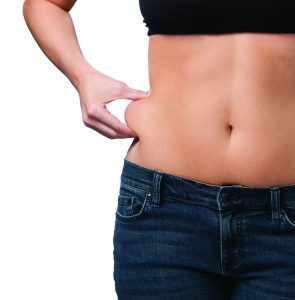 Over time the cells die due to the “freezing of the fat” and your body naturally eliminates the cells. Since this procedure is non-surgical there is no downtime making it very easy to return to normal activities immediately. The results are proven, noticeable and long lasting. The first step is to schedule a complimentary one on one consultation with one of our aestheticians who was specially trained in the Coolsculpting procedure. During your consultation, your whole body will be analyzed from different angles and then focus will be directed to the specific areas you want to eliminate the fat. With different applicators to choose from a customized treatment plan will be designed for you. It may take as little as one visit to achieve your goals, although more than on Coolsculpting treatment may be needed to complete your plan during that visit. Since we have two systems we may be able to treat two areas at one time reducing the amount of time you spend in the office. During the actual treatment, a gel pad and applicator will be applied to the targeted area. While the device is attached you can read a book, watch TV, check emails or take a nap. For the first five minutes, you will feel intense cold but it subsides as the area numbs. You may also feel slight pulling, tugging or mild pinching in the treated area since a vacuum is used to help draw the fat into the applicator cup. After the applicator is removed a brief two-minute massage in performed on the area treated. During the actual treatment, a gel pad and applicator will be applied to the targeted area. While the device is attached you can read a book, watch TV, check emails or take a nap. For the first five minutes you will feel intense cold but it subsides as the area numbs. You may also feel slight pulling, tugging or mild pinching in the treated area since a vacuum is used to help draw the fat into the applicator cup. After the applicator is removed a brief two minute massage in performed on the area treated. Possible side effects after your treatment include temporary redness, swelling, blanching, bruising, and firmness, tingling, tenderness, cramping, aching, numbness or skin sensitivity. These effects are temporary and generally resolve within days or weeks. Possible side effects after your treatment include temporary redness, swelling, blanching, bruising, and firmness, tingling, tenderness, cramping, aching, numbness or skin sensitivity. These effects are temporary and generally resolve within days or weeks. After your treatment, we ask you to return to the office in 3-4 weeks to see how you are progressing. You may see results as early as three weeks but the most dramatic results are usually seen at 3 months following the treatment. At that time we ask you to come back in to take pictures, review your results and discuss additional treatments. Your body will continue to flush out fat cells for up to 4-6 months after treatment. After your treatment, we ask you to return to the office in 3-4 weeks to see how you are progressing. You may see results as early as three weeks but the most dramatic results are usually seen at 3 months following the treatment. At that time we ask you to come back in to take pictures, review your results and discuss additional treatments. Your body will continue to flush out fat cells for up to 4-6 months after treatment. The cost of this procedure varies depending on your areas of concern, the number of treatments needed and your ultimate goals. Most clients opt to receive multiple treatments in multiple body areas in order to achieve their goals. We do accept Care Credit which offers multiple financing options that allow clients to proceed with Coolsculpting and make payments over time with 0% interest. The cost of this procedure varies depending on your areas of concern, the number of treatments needed and your ultimate goals. Most clients opt to receive multiple treatments in multiple body areas in order to achieve their goals. We do accept Care Credit which offers multiple financing options that allow clients to proceed with Coolsculpting and make payments over time with 0% interest. Coolsculpting is not for everyone. You should not have this procedure if you suffer from cryoglobulinemia, cold agglutinin disease or paroxysmal cold hemoglobinuria. Coolsculpting is not for everyone. You should not have this procedure if you suffer from cryoglobulinemia, cold agglutinin disease or paroxysmal cold hemoglobinuria. Call to schedule your consultation today.